Dr. Nyote J. Calixte serves as Director of Academic Engagement for the Natural and Quantitative Sciences at Duke University. As a Sciences advisor, she seeks to help students integrate curricular and co-curricular interests to a myriad of opportunities for personal, academic, and professional advancement in STEM. Through the integration goals, interests and engagement Dr. Calixte supports and facilitates the connection of students to faculty, research, mentorship, and internships within and beyond the Duke scientific community. Dr. Calixte holds a Ph.D. in Chemistry from Louisiana State University. She is an educator with six years of demonstrated expertise in teaching and mentoring pedagogy, commensurate with two excellence-in-teaching awards. She possesses a variety of global, academic and industrial experiences, including internships with Procter and Gamble and 3M, which influence her approach to successfully advise and engage students in the sciences. Dr. Calixte's passion for teaching, mentorship, and outreach equip her to serve as a steadfast proponent for STEM endeavors. 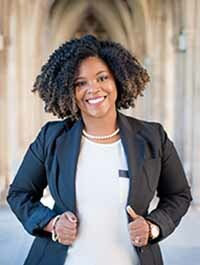 As Director of Academic Engagement for the Natural and Quantitative Sciences, she aims to impact Duke student's self- efficacy and motivation towards paths in the sciences through effective mentoring and high-impact advising.